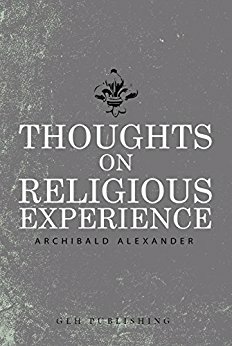 The nature of spiritual experience is probably both the most interesting and the most difficult subject in Christian literature: interesting because it concerns human life in all observable stages from childhood to death, and embraces all the emotions and behaviour possible in a man regenerated by the Holy Spirit; difficult because the adequate treatment of the subject makes immense demands upon the author. To trace sanctification and backsliding, as they appear in human consciousness, presupposes a sound biblical theology as well as a spirituality of mind and a pastoral knowledge broad enough to interpret all the varieties in type which occur. Free PDF digitized by Google here. Few books have had such a widespread influence on the lives of God's people. Testimonies to its usefulness were received from many lands and Christians of differing theological persuasions have testified to the blessing experiences through reading it. 'This is one of the best and most profitable volumes ever published', said C.H. Spurgeon. 'The memoir of such a man ought surely to be in the hands of every Christian and certainly every preacher of the Gospel.' Few books contain such variety and welath of spiritual matter between their covers.